Can I Synch Events With My Phone? DayBack doesn't sync events from one source (Basecamp, for example) to another (say, Google Calendar). It brings those sources together in one interface so you can edit them side-by-side. If you're looking to sync so that users outside of Basecamp or Salesforce (or folks without a DayBack license) can see your schedules, checkout sharing; it will change the way you work. 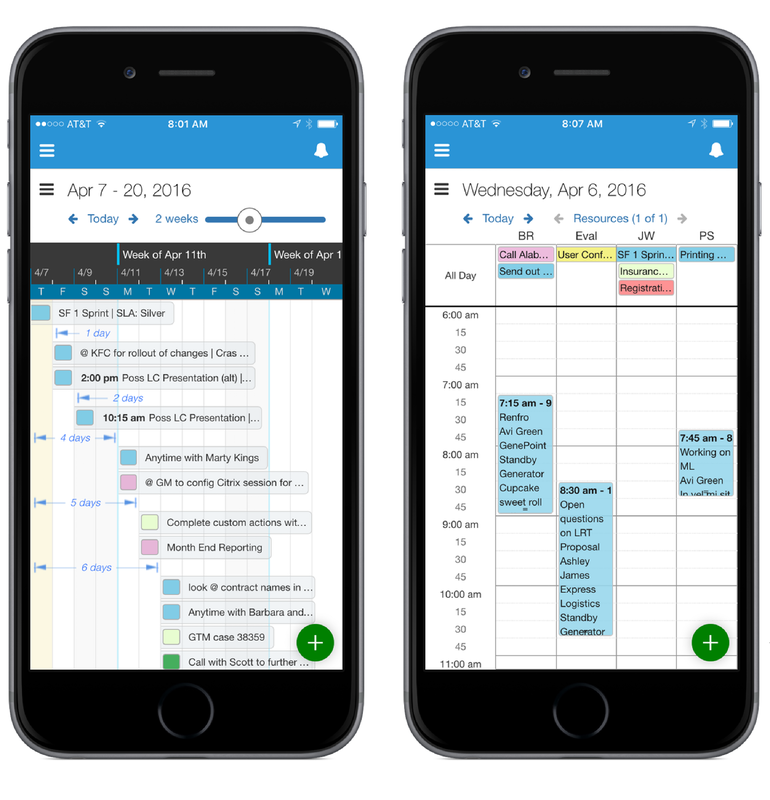 Does DayBack work in Salesforce1 Mobile? Yes. 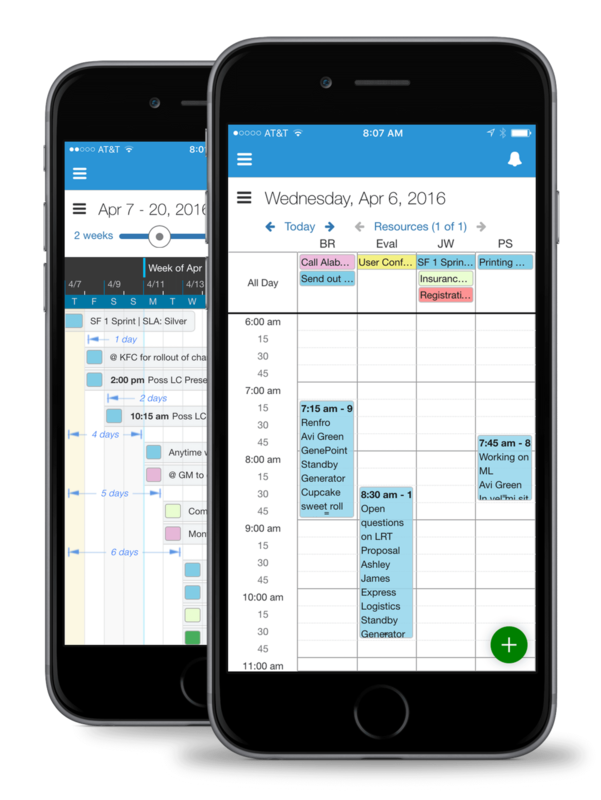 It looks great in Salesforce1 Mobile and is optimized for touch devices. Why don't I see DayBack in Salesforce1? Use the Quick Find in the left hand sidebar to search for "Visualforce pages"
You'll see a listing for DayBack: click "DayBack" or "edit"
Check the box that says "Available for Salesforce mobile apps and Lightning Pages"
Next you'll create the Salesforce mobile tab. From Setup, enter "Navigation" in the Quick Find box, then select "Salesforce 1 Navigation". You'll see DayBack in the avilable list and you can click the > arrow to add it to the selected items and then reorder the selected items as needed.